It's possible, in your journeys through your local grocery or health food store, that you've encountered something called "cactus juice." You may have even heard its benefits touted on the internet, in magazines, or on television. With its rising popularity, it's important to learn just what this product is made of and how it can benefit you. 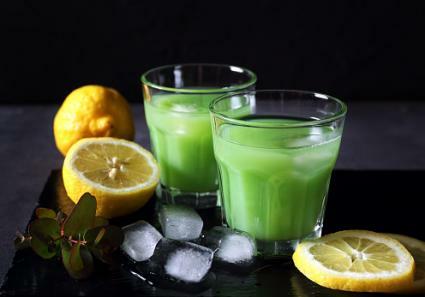 There are lots of edible cacti out there but most of the time when people talk about cactus juice, they're referring to a product made from one of the most commonly eaten cactus species - the prickly pear. Also know as nopal, this fruiting cactus is a common ingredient in Mexican cuisine where the pads are cooked in a variety of ways. Of course, the sweeter and more flavorful fruit can also be eaten. To produce the juice, any and all parts of the plant are cleaned, boiled, blended and strained. Essentially, the resulting juice contains all of the nutrients offered by the source plant in a much more convenient and less pointy package. 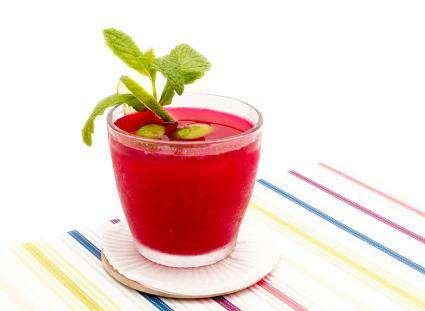 Occassionally, it is sold under other names like prickly pear juice, nopal juice, and cactus extract. The juice is also rich in several vitamins, minerals, and phytochemicals that work as antioxidants and support a variety of biological systems. Specifically, it contains impressively high concentrations of vitamin A, an especially powerful antioxidant. Largely thanks to those high levels of antioxidant compounds and fiber, cactus juice is widely hailed for it's anti-inflammatory work. To date, however, no studies have directly made this connection. In 2004, though, a study published in the American Journal of Clinical Nutrition compared the antioxidant power of prickly pear cactus with that of the ever-popular vitamin C.
Surprisingly, the humble and oft-ignored cactus actually outperformed vitamin C when it came to reducing oxidative stress and improving antioxidant levels. Because inflammation can be linked with free-radicals, then, it seems logical to conclude the antioxidants found in the juice could fight inflammation. Again, however, this has not been directly proven. Interestingly, the above-mentioned study also found the antioxidant activity of the prickly pear cactus prevented "oxidative damage to lipids," meaning it has the potential to improve your cholesterol profile by fighting the formation of LDL ("bad") cholesterol. Other studies have found the juice was able to reduce levels of LDL cholesterol in guinea pigs by increasing the liver's sensitivity to this particular brand of fat. Through this mechanism, the cactus stimulated the use of LDL and prevented it from causing damage to the circulatory system. Research has also backed up the traditional practice of using prickly pear cactus to treat diabetes, although the exact mechanism at work is not fully understood. It's important to point out that, while the juice seems to help normalize blood sugar in diabetics, these benefits are not seen in otherwise healthy people. This means that the cactus is probably not useful in preventing diabetes. For the most part, the juice is considered safe according to WebMD, and it doesn't carry with it any major known side effects. Some people, however, may experience digestive pain and discomfort from high doses. As mentioned, you can make the juice at home if you're willing to put in the work. Both the pads and fruit are covered in small, painful spines that need to be carefully removed. If you buy nopales in the store, the spines will normally already be gone, although you still may encounter a few strays. To juice the cactus, you can either boil the pads and fruit until soft and then press them through a strainer or blend them instead. Otherwise, be aware that the prickly pear fruit does contain fairly large, hard seeds. Of course, if you want to avoid that work and are willing to make a larger financial investment, you can simply purchase a ready-to-drink bottle from numerous sources. On average, a 32oz bottle will cost about $20. Since the most promising studies have been conducted using the plant and not juice or supplements, though, it's hard to say what the appropriate dose should be. For example, most studies saw benefits with about 200g of the plant. The typical recommended serving size of juice, however, is only about 28g - making it a much lower dose than generally used. To save money and ensure you're getting useful levels of the beneficial substances found in the juice, the homemade route might be best. Ultimately, the juice contains a concentrated mix of all of the highly beneficial substances found in the prickly pear cactus - a staple of Mexican cuisine. To get a useful dose, though, you'd need to chug a pretty substantial serving of the juice, more than might be practical. Considering it can be pretty expensive, as well, you're likely better off buying the whole nopales and either juicing them yourself or working them into your diet.